USA or Mexico, depending on availability. Parsley root (aka Hamburg parsley, root parsley, turnip-rooted parsley, Dutch parsley, German parsley) is special parsley sub-species (variant tuberosum) grown as a root vegetable. 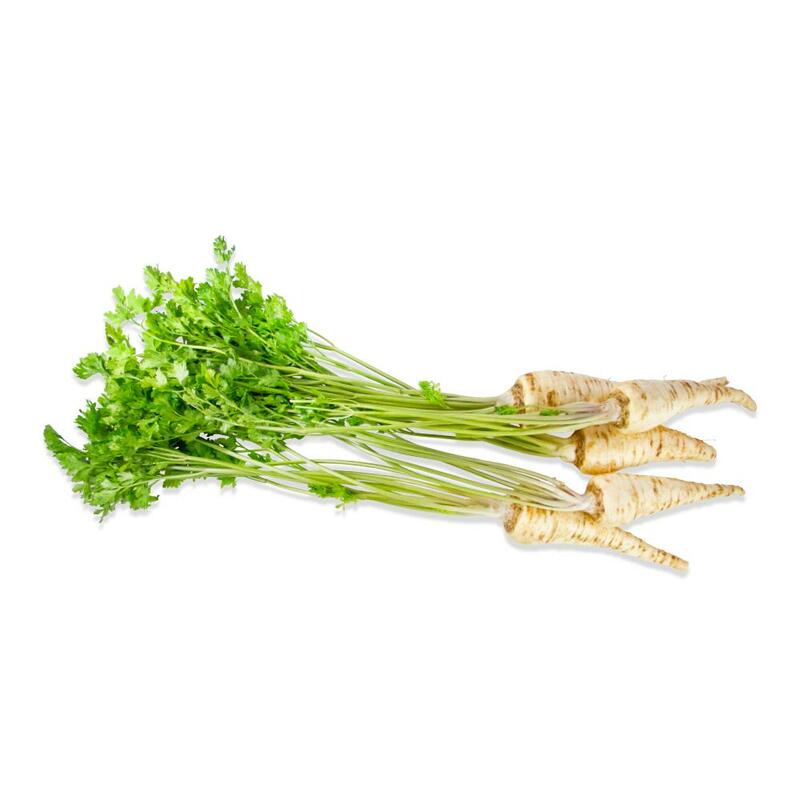 Parsley roots are beige-colored, carrot-shaped roots with a flavor evoking celery, turnips, carrots and parsley. 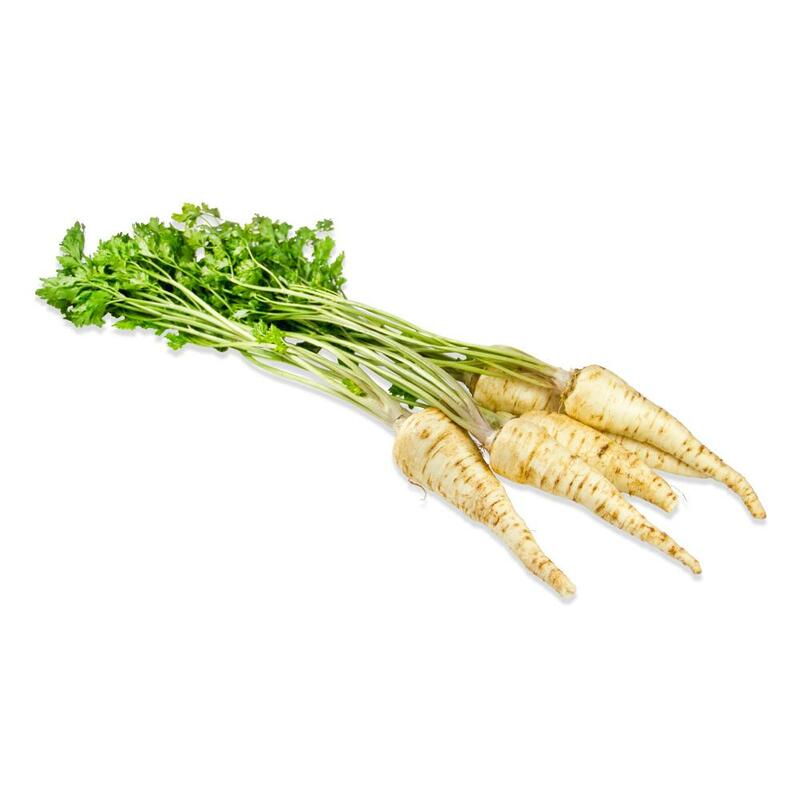 Though they look a similar to parsnips, their flavor is quite different. Thought to have originated in Germany in the 16th century, parsley root is most often used in the cuisines of Austria, Germany, Hungary and the countries of the former Soviet Union. Store parsley roots in your refrigerator. Parsley root is often cooked similarly to celery root (celeriac). Try it roasted, boiled, braised, pureed/mashed or in soups & stews. It can be prepared peeled or unpeeled (but scrubbed). Pair parsley root with ingredients like other root vegetables (potatoes, sweet potatoes, carrots, beets, parsnip, celery root, etc), fennel, truffles, garlic, cabbage, barley, braising cuts of meat (especially pork), poultry, cinnamon and/or thyme.